Motion analysis is typically used for a range of diagnostic procedures in the hospital. While automatic pose estimation from RGB-D input has entered the hospital in the domain of rehabilitation medicine and gait analysis, no such method is available for bed-ridden patients. However, patient pose estimation in the bed is required in several fields such as sleep laboratories, epilepsy monitoring and intensive care units. In this work, we propose a learning-based method that allows to automatically infer 3D patient pose from depth images. To this end we rely on a combination of convolutional neural network and recurrent neural network, which we train on a large database that covers a range of motions in the hospital bed. We compare to a state of the art pose estimation method which is trained on the same data and show the superior result of our method. Furthermore, we show that our method can estimate the joint positions under a simulated occluding blanket with an average joint error of 7.56 cm. 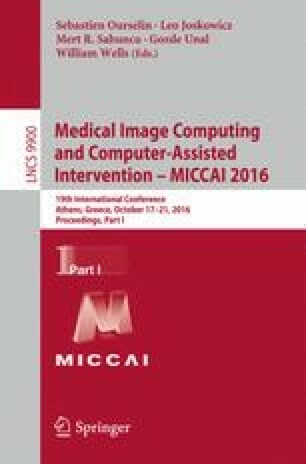 The authors would like to thank Leslie Casas and David Tan from TUM and Marc Lazarovici from the Human Simulation Center Munich for their support. This work has been funded by the German Research Foundation (DFG) through grants NA 620/23-1 and NO 419/2-1.